Welcome to the Hostinger Monthly Roundup for April, and that’s right – we’ll be summarising our biggest company achievements over the last month. The main points of the March Monthly Roundup were software migration, a customer-centric spring sale, and the reasoning behind our latest team workation. This month we will be focusing on a tie-up with Vilnius University as a business and educational partner, what our compliance with the European General Data Protection Regulation means for our loyal customers, and the massive update to our file manager. Opening this April’s Hostinger Monthly Roundup is our partnership with Vilnius University who chose us (and our subsidiary company BitDegree) to be a business partner and co-creator of its new “Marketing Technology” Bachelor Programme. 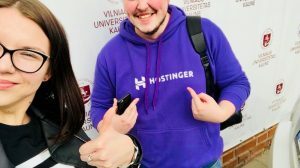 Hostinger and BitDegree were chosen by the university thanks to their status as ‘homegrown’ Lithuanian business success stories, and their contribution to Lithuania’s growing reputation as a developing business hub in the Baltic-Nordic region. 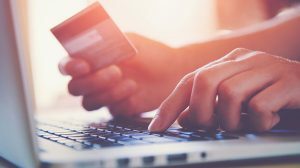 Ahead of the GDPR coming into effect on May 25, we have taken the time to explain what this means for you as a Hostinger customer. The GDPR is a ruling created by the European Commission, and it defines how personal data of EU citizens anywhere in the world is used. 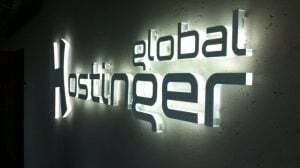 Whilst Hostinger is already fully GDPR compliant, we are company that places you, our customers, at the heart of our operations. Therefore we felt obligated to explain to you how we will be using your data, and what our GDPR compliance means for you. 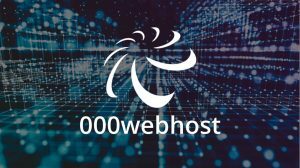 An in-depth explanation about GDPR and Hostinger is available here. File Manager gets an update! Our file manager just had a major infrastructure rework! We are now prepared to handle downtimes and maintenance much better with no users affected by it. Because we have significantly improved our backup solutions, our file manager uptime will easily stay above 99%. We have also introduced some improvements in the overall readability and UX of the file manager too. Go ahead and test it out! your feedback is very welcome in the comments section below!